I almost always start my ELA units with a PowerPoint presentation to introduce the topic. 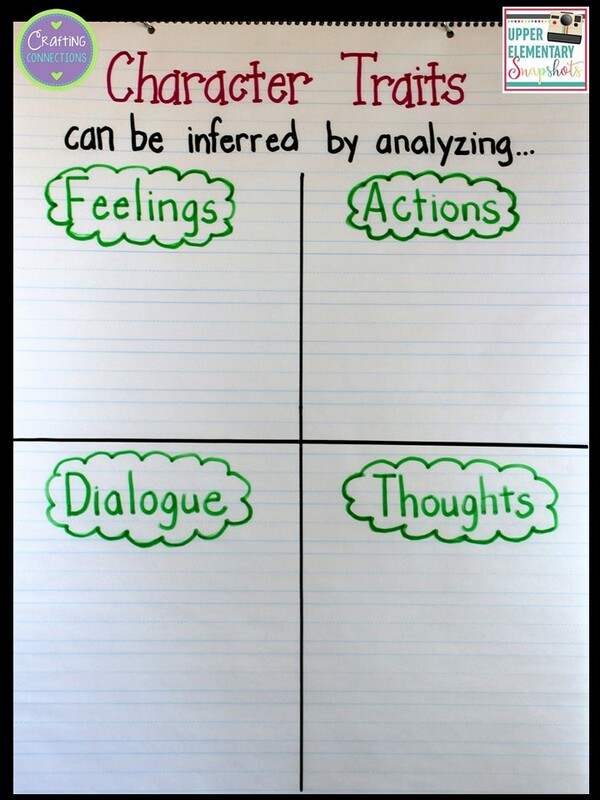 Therefore, the lesson I am describing would occur on Day 2 of our character traits study. 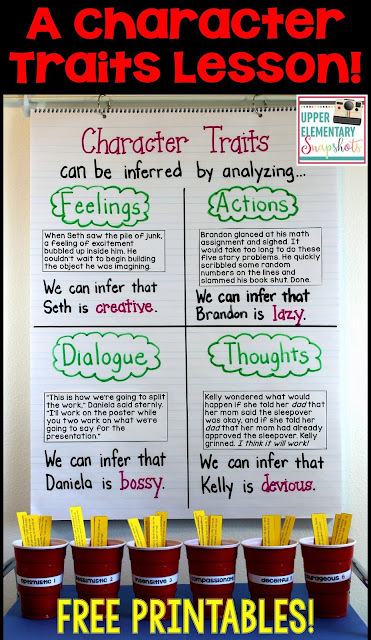 Prior to class, I would create the base of my character traits anchor chart. To start the lesson, I would use the anchor chart to review how good readers analyze clues provided by the author in order to infer character traits. 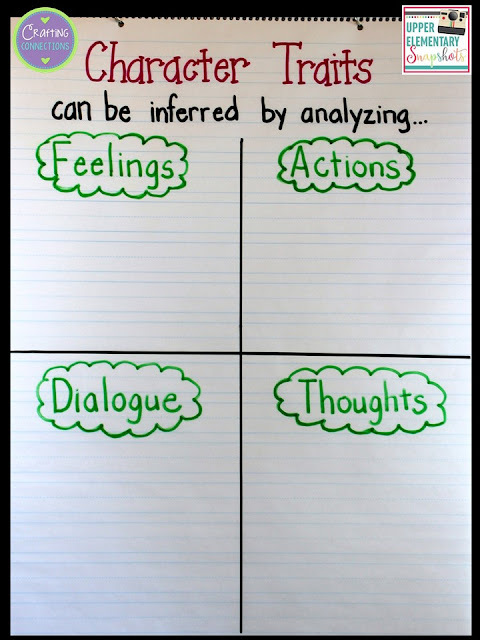 Next, I would read four short passages, and ask students to determine whether the character trait clue provided by the author was an example of a character’s feelings, actions, dialogue, or thoughts. 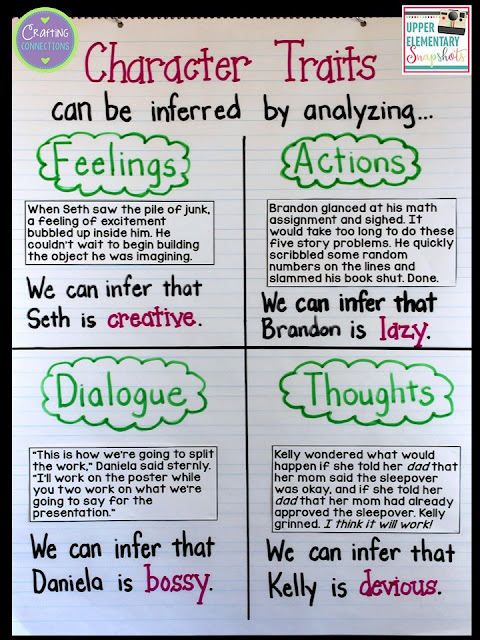 After gluing (or taping) the passage onto the anchor chart, students would infer a character trait for the character described in each passage, and this sentence would be written on the anchor chart below each passage. The next component of this lesson is my favorite part! I would present six plastic cups by spreading them across a table or chalkboard tray. As you can see, the cups have been labeled with various character traits. 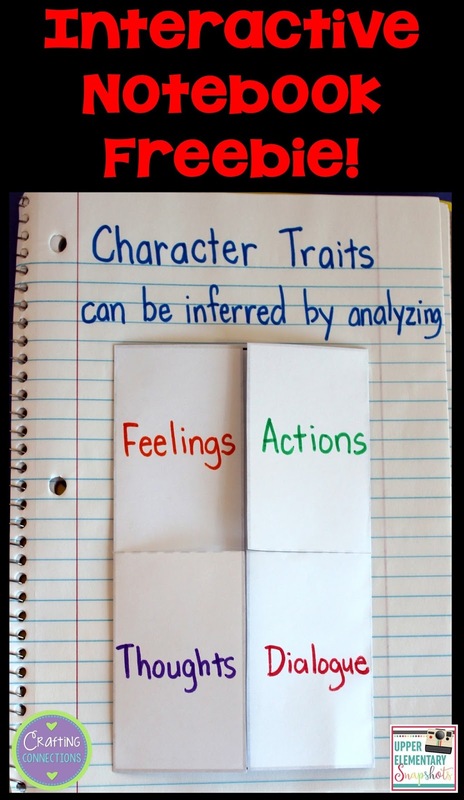 (I chose these particular traits because many young adult chapter books include characters with these traits, and I wanted to introduce my students to more advanced vocabulary.) I also have the small strips of card stock printed and cut apart. These strips contain very short reading passages. Finally, I would have my students add the following foldable to their reading notebooks. Students can refer to the anchor chart as they label the foldable. After gluing the foldable in their notebook, students will use a book that they are currently reading or have finished reading recently, and write under each flap how they were able to use that label (dialogue, for example) to infer a character trait. They will write down evidence from the text to support their answer. Providing the following sentence frame may be necessary for some students, especially English Language Learners: I inferred that (character’s name) is (character trait) because (text evidence). 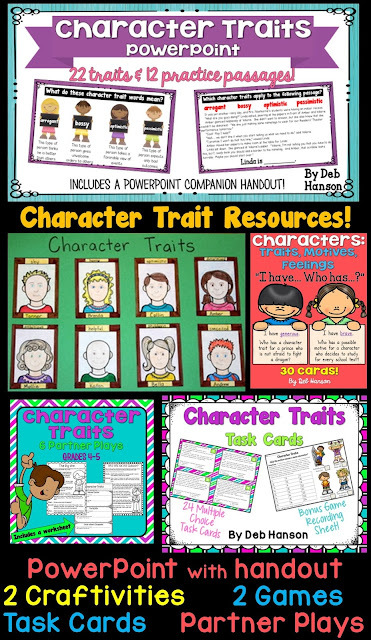 If you are looking for additional resources for teaching character traits to your upper elementary students, feel free to check out the following resources.